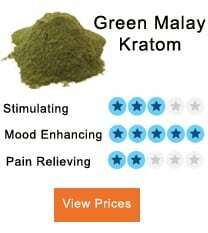 You are probably becoming more familiar with all the kratom strains and the incredible health benefits you will get by incorporating these herbs into your life, so out of curiosity and excitement you bought your first stock but now you can’t help thinking “I wish I knew it tasted this bad” and you ended up storing your kratom powder in the highest shelf in your kitchen because you have no intention of ingesting that nasty thing, ever again. But we are pretty sure that no one has ever told you that you can make your kratom powder taste good if you know how to mix it in the right way. Today we are going to explain how you can fix your troubled relationship with the taste of kratom and truly start enjoying its benefits by making juicy kratom drinks with it. Before you start reading, it is important that you follow dosages as mixing wrong quantities can end up denaturing the alkaloids in the kratom. The Morning Coffee – Kratom Routine You’ll Never Want To Miss Again. 1 The Morning Coffee – Kratom Routine You’ll Never Want To Miss Again. 7 Feeling Like Lemonade Or Pineapple Juice? Don’t Forget To Add Your Precious Herb. 10 Plain Whole Milk, Keep It Plain. For lovers of bitter taste and morning slow starters, mix your selected kratom powder with your favorite coffee. Bring a cup of water to boil, and let it sit for 1 to 2 minutes. Follow this cooling time by adding 1 teaspoon of kratom and the amount of coffee you wish to add to half a cup of the water you previously boiled. Stir this mixture until it the powder and the coffee are fully dissolved. Only then you can add the other half cup of water. You should use a decaffeinated coffee and I you wish you can add some milk. Do you want an iced drink? Use a blender to mix your iced coffee and your kratom. Mixing coffee and Kratom together will enhance their stimulant effects. 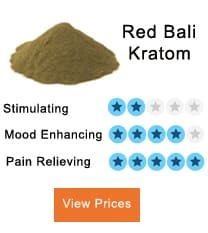 You will be more than energized but make sure you are not using a high dose of kratom since you want the energizing and not the sedative effect to kick in. Frequent users suggest mixing coffee with either white or green strains for a maximized energy boost. But you might want to try other mixes since combining coffee and kratom won’t change the bitterness. For more delicate palates and tea enthusiasts that need to kickstart their day, enhance your tea ritual with the ancient power of kratom leaves. If you are a tea lover, you can achieve your morning boost by mixing kratom with your favorite choice of tea. You can make hot tea as well as iced tea. By adding half a lemon, you will also potentiate the alkaloid in your strain. Also, if you are more courageous you can go ahead and make a kratom tea yourself. For this particular option, you will need the leaves or the powder. You just have to boil your kratom dose in water for 15 minutes at least. If you used the powder you should strain the liquid afterward, if you used the leaves, you should then remove them and your kratom tea is ready to go! For athletes and fitness gurus who want to carefully take care of their muscles, here’s your new habit: combining your amino acids and kratom for the ultimate support. BCAA – branch chained amino acids – are fundamental when it comes to the health of your muscles. You can find BCAA in different flavors and mix it with your kratom powder. Make sure the powder completely dissolves before drinking it. BCAA should mask well the smell and the bitterness of the powder. If you don’t like this method, some users also tried to toss and wash the powder with BCAA. Try BCAA Xtend. For those who have an undeniable sweet tooth and are happy simply at the thought of chocolate but still want to feel guilt free, adding kratom to your treat will let you get away with it. You can try to counteract the bitterness of kratom with chocolate milk. Mix your powder dose in a cooled cup of chocolate milk. Make sure that the solvation process occurs when the drink has cooled down since the hot drink can impact negatively on the activity of the alkaloids. For those people who need to get it over with quickly and don’t have time to whine. Before you know it, you will be on another dimension! It is all about making that awful taste more bearable. The method is self- explanatory. Keep your tongue down and put your dosage of powder on it, then with some water, or grapefruit juice do a mouthwash, then swallow. Using water might not help with the taste, so you might go for grapefruit or any other juice of your liking. For whoever has a cup of juice at breakfast and particularly like orange and grapefruit juice. Grapefruit not only improves the taste but users reported that it also enhances the power of kratom. Users, however, seem to prefer by far to do their mix with orange juice. Proceed by adding your powder to half a cup of orange juice, when the powder has blended, throw in another half a cup of orange juice and drink immediately. Orange juice, also, is believed to intensify the properties of Kratom. You might want to prefer organic juice if you want to watch your sugar intake. Feeling Like Lemonade Or Pineapple Juice? Don’t Forget To Add Your Precious Herb. -For whoever loves sour, acid tastes. Mixing kratom with pineapple or lemonade juice will enhance the effects of your kratom. For all the gym sharks whowant something more than just getting shredded. This drink will change your whole workout experience. Mix kratom with your favorite protein shake will enhance the recovery of your muscles if taken after a workout session or can boost your energy in preparation for your workout. Some users tried adding Stevia to this mix for additional natural organic sweetness. For the smoothie lovers and exotic fruits enthusiasts, how about adding few grams of kratom to your smoothie? Users tried mixing 2.5 grams of kratom with Mango Naked Juice. Apparently, this combination stimulates the digestion of the kratom by the intestine. For more of a refreshing drink, you can also add few cubes of ice and you will be ready to indulge in the juicy, sweet taste of mango with the healing properties of kratom. Users seem not to find the following blends to be a real delight to the palate. You may still want to try them and see what works best for you. Plain Whole Milk, Keep It Plain. Not for people who judge a book by its cover. Seriously, so many people are already intolerant to dairy. This mix might irritate your intestine. If you are going for this method, we suggest using whole milk to toss and wash. But if you want to mix it be ready to ingest a not good-looking mix. Heat up the milk a little bit before mixing the powder. But we are sure you won’t like it either. Not for people who still want to enjoy the taste of Aloe Vera. Aloe Vera is just perfect on its own. Aloe Vera is by definition the juice for your health. 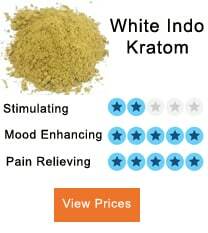 But mixing it with kratom is nasty. The delicate taste of Aloe Vera won’t do anything against the strong bitter kratom. Keep drinking Aloe Vera on its own but if you insist on combining these healing plants together, go for a toss and wash.
Not for those who have a quick gag reflex, plus this is technically not a drink! You really don’t want to try this. Trust us on this and trust all the people who tried it and regretted it. There are people out there claiming that using a flavored yogurt will work wonders on the kratom but we really find it hard to believe. Your mix is going to look like a muddy mask perfect for a face mask. The texture is definitely not seducing and the taste is awful. Not for those who are planning to give coconut water a second chance with the help of kratom. Coconut water, as Aloe Vera, does just fine by itself. Not everybody likes the taste of coconut water, and if you don’t you might not like it combined with kratom either. You can try a toss and wash with coconut water as well. But it is very likely that the aftertaste of coconut water won’t do well in a mix. 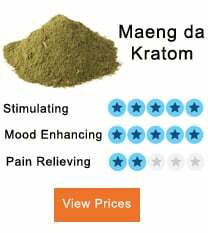 So, we gave you all the solutions for you not to give up on your kratom lifestyle. Start taking it again in the form of kratom drinks and if you are experimenting new blends let us know how you did them and how they taste. We are more than curious to listen to how people incorporate kratom into their lives and we want as many people as possible to experience the benefits of this potent herbal medicine.